Videos of interesting or questionable findings ﻿from ﻿group members. "Wanda Hewer describes the uses of the Electromagnetic Field reader in terms of ghost hunting and then demonstrates its use during a personal home investigation. The idea is that the EMF reader can pick up spiritual energy. A standard tool used by more scientifically minded investigators is the electromagnetic field (EMF) reader, which responds to electrically charged objects." Shan﻿e Kelehe﻿r captured this moving energy orb displaying intelligent movement and acknowledgment during Burlington Ghost Walks. This does not fit the description of a dust orb or an insect, or a flashlight or laser pointer. This tape has not been tampered with in any way. Thank you to Burlington Ghost Walks for an awesome experience. Notice when the whirling orb turns sideways and becomes a thin line. Kat﻿hryn Vine-S﻿mith captures an Orb on video on death row Carleton County Gaol, Ottawa Youth Hostle. 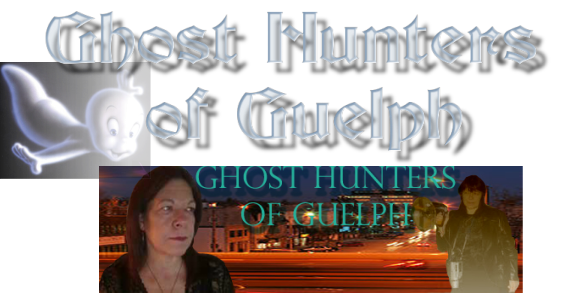 This one minute clip was during the Ghost Hunters of Guelph Investigation with Mystery Hunters Episode 3. This clip was taken with Kathryn's RCA Little Wonder on tape.